Luxury suites, villas and apartments by the sea in Ixtapa-Zihuatanejo in an amazing resort with the best amenities like pool or jacuzzi in the room. In our luxury villas in Ixtapa Zihuatanejo you will always find plenty of activities to make your stay in town are as fun as you could possibly want. In our massive resort you and your family will find one of the most renowned restaurants in the state of Guerrero as well as a world-class spa, a small tropical zoo and a fantastic Beach Club. Pacífica Resort offers you and your family a wide range of suites to choose from for the holidays you want. Ixtapa is an amazing vacation spot overlooking the Pacific Ocean in Guerrero, with some of the most beautiful beaches in the country and of course, the best luxury villas in Ixtapa Zihuatanejo, you'll love your stay with us; contact us today to know more. Come to our luxury villas in Ixtapa Zihuatanejo and see for yourself everything we have to offer, we assure you an unforgettable vacation, honeymoon or even wedding! If you're looking for a golf break, stay at Pacífica Resort where you can enjoy the nearby Palma Real golf course; we have special suites with easy access to the course, plus views of both the Bay and Palma Real. Among the many things to see and do in Pacífica Resort Ixtapa, you'll find the Magic Jungle, a place where they can experience everything we have to offer. The best luxury villas in Ixtapa Zihuatanejo offers children's activities and classes, tours and excursions, a zoo, night shows, and even safe and fun diving and snorkeling in our pools. This space is always supervised, so you can feel safe while the kids have fun. You'll love the town of Ixtapa, one of the nicest resort towns in the country, near a vast array of attractions you'll love like Zihuatanejo, Manzanillo and more. Ixtapa-Zihuatanejo is waiting with open arms, come and see this paradise on the Pacific Ocean with us and our lovely suites. Contact us today to learn all that Pacífica Resort can do for you; just know that we are looking for the room with us. 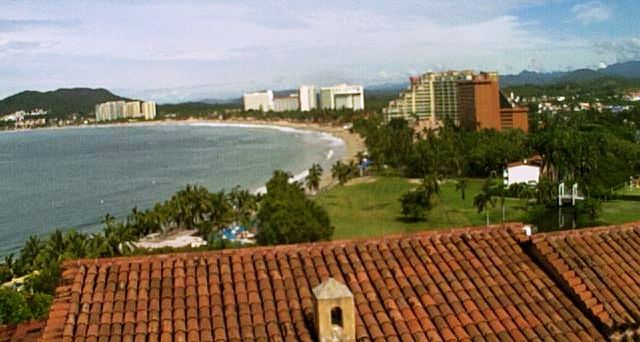 Ixtapa-Zihuatanejo is a relatively recent destination created in the 70's to take advantage the beautiful area, through the creation of hotels and residential. Our luxury villas in Ixtapa Zihuatanejo are located in a modern paradise on the shores of the Pacific Ocean, with restaurants you'll love and transportation services to the rest of the town, where youll find international brand boutiques along Avenida Ixtapa, close to all the popular attractions and the beach. Some of the most popular restaurants are found in Zihuatanejo; but the local cuisine is definitely a must. The old Zihuatanejo used to be a remote village that was dedicated to fishing, but over time it has evolved as a premier destination, full of modern charm, but still some of the old Mexican mood. Visit our luxury villas in Ixtapa Zihuatanejo today and we can take you to Zihuatanejo to experience it for yourself. The Imperial Plus Sands is perfect if youre looking for luxury villas in Ixtapa Zihuatanejo. A massive suite that can accommodate up to 16 people, divided into two floors, with a jacuzzi and a stunning terrace overlooking the Bay. If what you want is a golf vacation, the Pacífica Golf suites are the ideal choice; with occupancy for up to 8 people, a mini pool and a terrace overlooking the beach. When you stay with us, you can also enjoy the Sands Suites, with occupancy for up to 6 people and all the amenities you would expect in Pacífica Resort Ixtapa.